Stuart chats to Norwegian psychedelic prog-rock exponents Motorpsycho about their new release Supersonic Scientists: A Young Person's Guide to Motorpsycho. Stuart chats to Norway's progressive avant-rock, psycho-pop, jazz-metal exponents Motorpsycho about their new release Supersonic Scientists: A Young Person's Guide To Motorpsycho. Plus the featured album comes from funky-free jazzers The Art Ensemble of Chicago and their 1970 soundtrack to Les Stance De Sophie and there's new music from Swiss trio Rusconi and harpist Joanna Newsom. 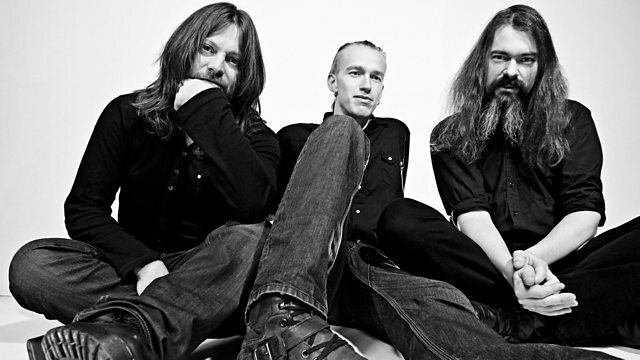 Supersonic Scientists: A Young Persons Guide To Motorpsycho. Xmas And The Beads Of Sweat.